Do you feel lost in life? Don’t know where your life is going? Feel like you’re meant for something bigger and more meaningful? 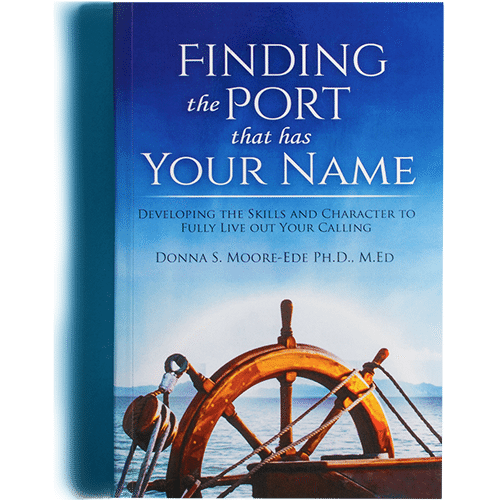 Join Donna S. Moore-Ede Ph.D, M.Ed and start your journey in ‘Finding The Port That Has Your Name’. The ancient Greeks and the first century Christians called such a well lived life “Sophrosune”. This book reacquaints today’s reader with this concept of a life that is in harmony with itself, and is based on a greater purpose and a superior reality. Awareness of this higher reality enables us to understand and harness in the sometimes raging and conflicting forces of our spirit, intellect and emotions, which seek knowingly, or unknowingly, to control our lives. This book teaches how to successfully negotiate between them led by the calling of a highly evolved spirit. The greatest journeys we ever take, are the journeys within ourselves. Dr. Moore-Ede’s deep insights into spiritual, emotional and intellectual maturity, and what the ancient Greeks and early Christians called “sophrosune” – the greatest of all virtues – a life that is in harmony with itself and lived out from its deepest solid core of self-knowledge and personal truth, have evolved over 30 years of individual, family and business counseling. Sophrosune was recognized as the greatest of human virtues by both the ancient Greeks (Socrates, Plato, Aristotle) and the first century Christians (e.g. Apostle Paul). What a commentary it is on our modern society that we have lost the very word from our vocabulary which describes the ideal of a well-lived life! You have achieved through introspection a realistic understanding of your strengths and weaknesses as a human being. You have developed an awareness of your internal motivations and how they affect your behavior toward yourself and others. You also have an understanding and ability to analyze and manage the civil war between your intellect, emotions, and spirit. You do not think more highly of yourself than you ought to, nor do you see yourself as less than you are. Instead, you have a realistic picture of who you are, and your place in the world. You clearly understand and are focused on the business for which you were put on earth. Your life has a purpose and a meaning that. benefits not only yourself, but also those around you. Your calling is made manifest in your life, however humble or grand—whether you are a subsistence farmer’s wife in Africa far away from tarmac roads or civilization, or the President of a great nation. This gives you the ability to energetically and completely fulfill your personal mission during your brief lifetime on this planet. You have deep contentment with who you are, what you are doing and becoming, the relationships you hold dear, and in your place in the world at this moment in time. You are accepting of all the aspects of the uniqueness of yourself. You have quietness in your soul because you have come to accept the person that you are. You may be facing great hardships or business setbacks, but you know you are striving to be the best you can be and are living by your internal values. You are always seeking the “true north” of your own calling in life. You have an internal compass that guides and directs you, and your talk lines up with your actions. You know you are living the life you were meant to live and have no need or desire to be on a different path. You have a tranquility of spirit and a quietness of soul that no amount of fame or fortune can buy. You are aware of your calling in life, but are mindful of your human frailty, limitations, weaknesses, and mediocrities. You acknowledge your inadequacies, understanding that you are far from perfect, but you are consistently trying to be the best you can be. You are not “puffed-up” by your accomplishments, or the praise of others, and you don’t have an exaggerated opinion of yourself. You are comfortable in your own skin and the ethical code you live by. True humility is about a realistic acceptance of who you are. If you are Einstein, you realize you are one of the most brilliant people who has ever lived. This is an accurate assessment of yourself. If you were Einstein, you would have false humility if you just presented yourself as an average scientist. But if, on the other hand, you are stumped by calculus and differential equations, you would accept “math-challenged” as being an accurate assessment of yourself. In other words, you have come to terms with who you are, and who you are not. Your “House of Sophrosune” needs to be built on a strong and stable foundation of intellectual, emotional, and spiritual maturity, that ensures strong and stable values and outward behaviors. Each of the eight visible building blocks of the House of Sophrosune, “Love and Family”, “Meaningful Work,” “Health and Wellness,” “Self-Nurturing,” “Friends and Community,” “Finances and Wealth”, “Play and Recreation”, and “Legacy and Contribution” are constructed on this foundation. Out of the blue, life altering moments can happen — the before and after moments. Someone close to you dies, you are diagnosed with an illness, a child becomes sick, you lose a job, you discover your spouse has had an affair, you have a serious car accident, you lose power and prestige at work. Your House is shaken to its core….What then? Part One of this book is about identifying and embracing the unique calling on your own life. I show you how to look for the guidance that comes from intuition, circumstances, and often the dark seasons that life brings to all of us. I help you to understand that your times of darkness can lead you to the light, if you will only look for what it is trying to teach you, and embrace it. A calling is for everyone, not just the special ones—but it is the special ones that seek and find it. Part Two of this book discusses the skills, character and maturity that are essential to develop to fully live out your calling. Just knowing your calling and your gifts, or even having a strong faith in God, is not enough. Living out a fully-evolved Sophrosune life requires much more than just having a sense of your destiny. 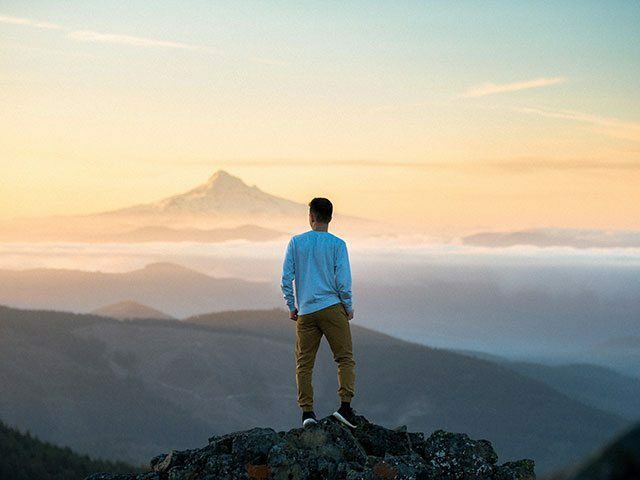 The biggest obstacles usually don’t come from the outside world, but rather come from the internal “shadow” of self-sabotaging behaviors, immaturity and narcissism that cause bad judgement and poor decisions. Part Three of this book applies these core principles to every part of your life. Just like the Biblical parable about the wise man who builds his house on a rock and not on sand, your “House of Sophrosune” needs to be built on a strong and stable foundation of intellectual, emotional, and spiritual maturity, that ensures strong and stable values and outward behaviors. Each of the eight visible building blocks of the House of Sophrosune that are constructed on this foundation need to be nurtured and strengthened. All of us have an innate need to find connection with others around common interests. This adds joy and growth to our own lives. Making an investment in someone else’s life introduces us to their world, their experiences, and their problems; widens our own personal world and perspective; and makes us better people. We become greater in spirit and imagination because of the connection. A good friend is there to share the joys and happy times, and also is there to abide with you during the hard times of life, when you can’t make it alone. When we have close friends, it can help us put our own lives in perspective. Too often, when we only superficially know people, it is too easy to feel envious that they “have it made.” We think they have perfect children, a perfect job, a perfect marriage, even perfect pets. However, when we really know people we discover they are human just like us. Realizing they have problems with their children, jobs, marriages, and pets helps to give us a more realistic picture of our own life. We are all unhappy to the extent that our “expectations” are not met. It is vital that, through observing and knowing others, we find out that our own life is not so bad, and that we truly understand that life goes up and down for every one of us, and that no one escapes harsh realities.